It was then that Gabriella knew she had to make a change and since joining Jenny Craig, she hasn’t looked back. 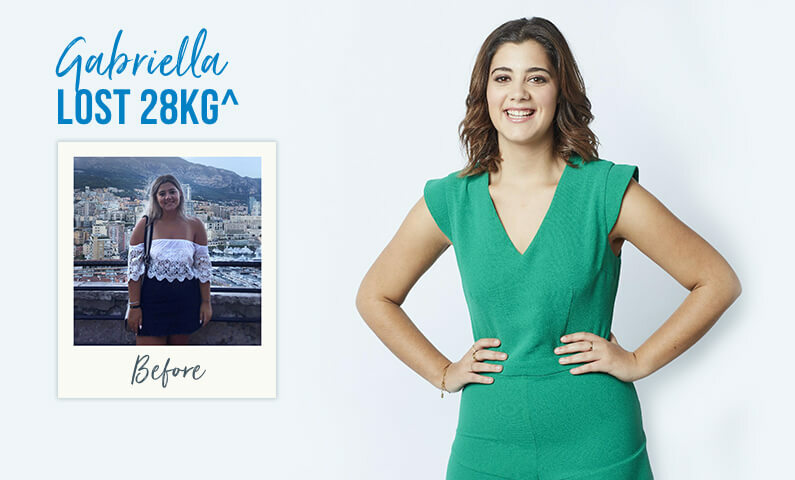 Since joining Jenny Craig, Gabriella has valued the lessons she has learnt from her Consultant and the program. “My Consultant taught me that food isn’t everything, it doesn’t control your life. “They’re there to motivate you, so it’s a constant motivation no matter what’s going on in your life. Once you submit this form a consultant from your nearest centre is going to call you to make an appointment or talk to you about any questions you may have. Get started and try our delicious, nutritious meals and friendly consultations. What do you have to lose? Enjoy weekly one-on-one consultations. Your personal Consultant will guide you through your weight loss journey, design a menu plan for you and help you lose and manage your weight successfully. Enjoy dietitian-designed, ready-made food that you simply have to heat & enjoy! 70+ meals to choose from. 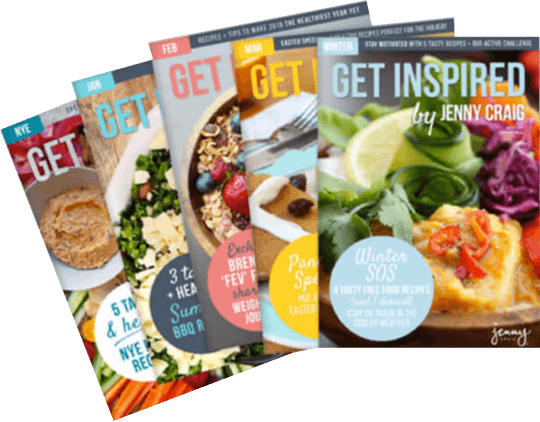 Jenny Craig clients can lose 3x more weight than dieting on their own! The Rapid Results Program works with your natural body clock to provide a time period of nourishment when your body can burn kilojoules most effectively, and then a period of rejuvenation during which your body can rest and regroup. When your body goes into rejuvenation mode, your body’s cells aren’t distracted by metabolising food. They instead get a break to regenerate, repair and restore in preparation for the next day. With Rapid Results we provide you with a plan that takes maximum advantage of your body’s natural metabolism and ability to burn kilojoules when it’s most effective, which can help you to lose weight faster. Your favourite foods, just healthier. Weekly Menus start from $158 – that’s just $23 a day! 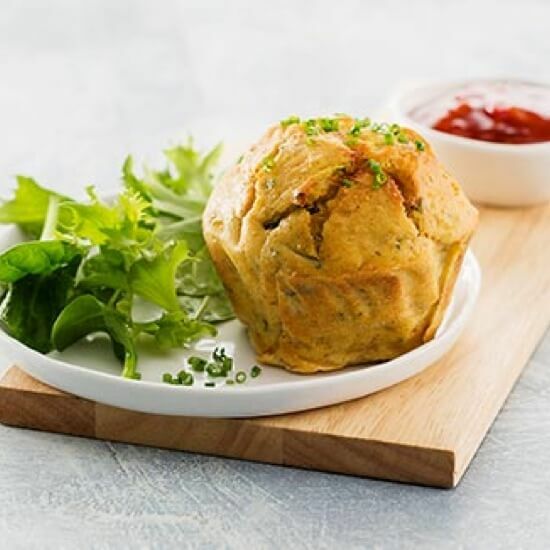 A savoury muffin packed with zucchini, corn and cheese. 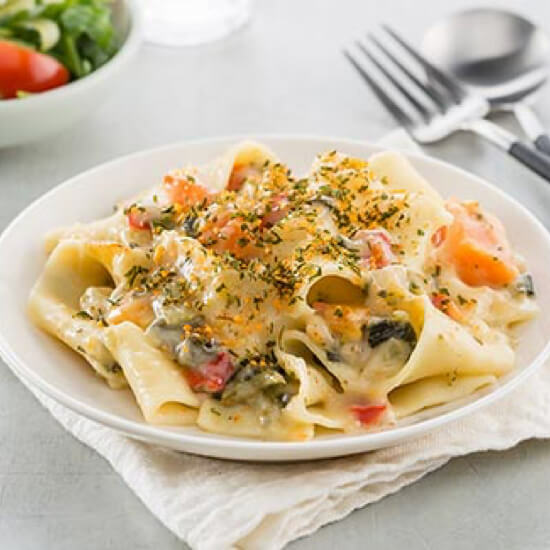 Pappardelle pasta tossed with vegetables, in a light cream sauce and topped with parmesan cheese. 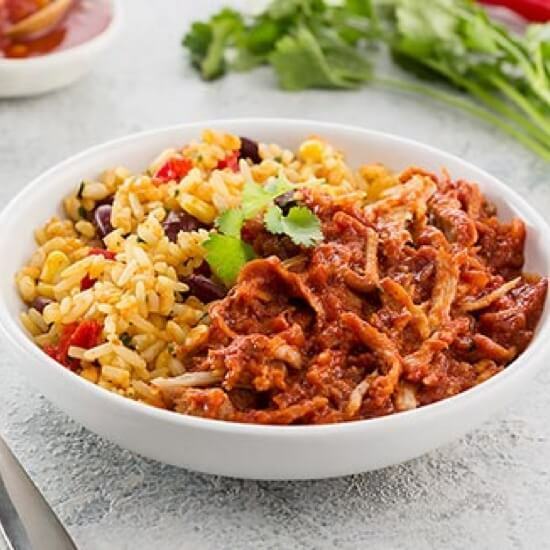 Slow cooked pork in a chipotle sauce with a colourful rice medley. 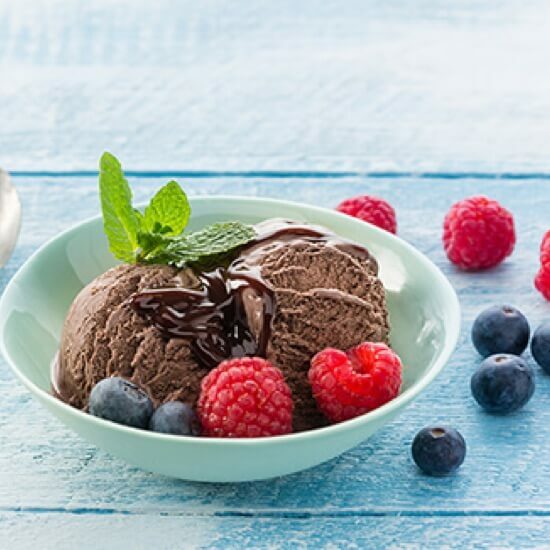 Chocolate low fat ice cream topped with a chocolate fudge sauce.